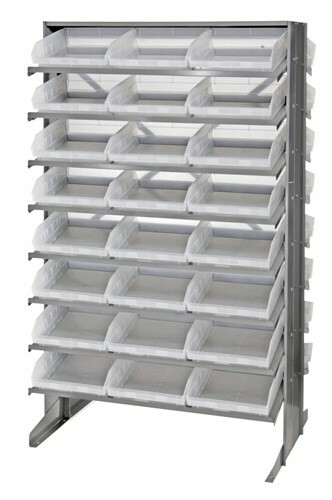 Pick rack provides a convenient high density, easy access, sloped shelving system. 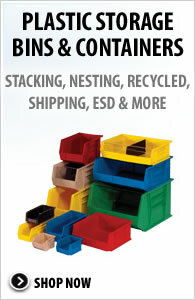 Unit comes complete with plastic shelf bins. 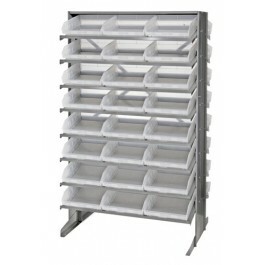 Sloped shelving unit keeps small and medium sized parts easily accessible. 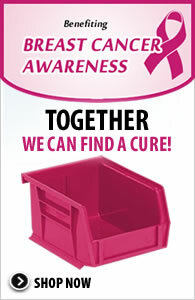 Open hopper front bins with label area, provide fast access to stored items. This all-in-one unit is easy to clean and will not rust or corrode. 24" x 36" x 60" Pick Rack includes 48 QSB109 Clear Bins.